UPDATE: Mediaite reported in an article following the publication of this post that Fox says Chao is no longer a Fox News contributor. 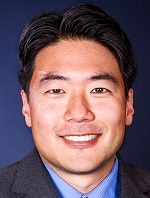 Mediaite wrote: "We reached out to Fox and they replied that Chao is, in fact, not a Fox News contributor." 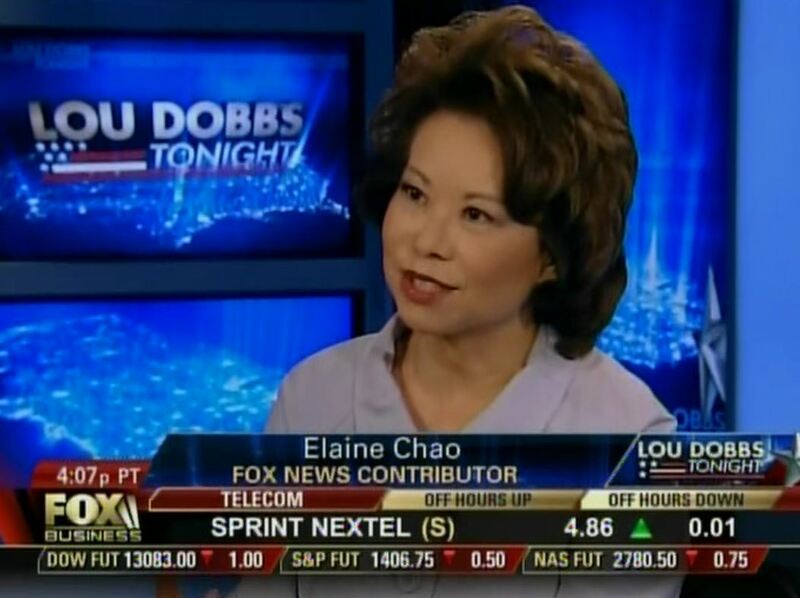 Fox identified Chao as a Fox News contributor as recently as September 6 during an appearance on Fox Business. If it's hard to differentiate Fox News contributors from members of the Romney campaign, it might be because they're sometimes one in the same. Four Fox News contributors are serving as surrogates or advisers for Mitt Romney's presidential campaign. In many instances, Fox News has failed to disclose its employees' ties to the Romney campaign while hosting them. Another contributor, Karl Rove, is a co-founder and adviser for the super PAC American Crossroads, which is spending millions to defeat President Obama. Jay Sekulow frequently appears on Fox News to discuss legal issues and attack the Obama administration without being identified as a Romney legal adviser. The following are the Fox News contributors who are also members of the Romney campaign. A spokesperson for Bolton, Christine Samuelian, emailed Media Matters in May that Bolton "is not paid by the campaign and gives foreign policy advice to lots of people." Role on Fox: Fox News contributor. Bolton frequently appears on Fox News to criticize President Obama and boost Mitt Romney. Bolton's ties to the Romney campaign regularly go undisclosed. During his Fox News appearances, Bolton has called Obama's foreign policy "confused and incoherent and incompetent." During one appearance, Bolton praised Romney as someone who has "had extensive international experience both in his business career, as governor of Massachusetts, and in something that's not well heralded, I think, his success with the Salt Lake City Olympics." Role on Fox. Fox News contributor. On September 4, News Corporation, Fox News' parent company, nominated Chao to its Board of Directors. During the September 6 edition of Fox Business' Markets Now, Chao said that the economy hasn't recovered from 2008 and 2009 because "of the anti-employer, anti-business policies enacted by the senate and also the administration." On the August 29 edition of Fox Business' Lou Dobbs Tonight, Chao pushed the falsehood that President Obama stripped the work requirement from welfare. Chao went on to claim that Obama "inherited a bad economy, but he made it worse with bad policies, with anti-business policies that do not encourage job creation." Following a Media Matters post criticizing Fox's lack of disclosure, Fox introduced Chao as a member of the Romney campaign. On the September 7 edition of Lou Dobbs Tonight (via Nexis), guest host Lori Rothman introduced Chao as "a Romney adviser. And we should also note she's been nominated to the board of News Corp., our parent company here at the FOX Business Network." During the September 8 edition of Fox News' America's News HQ, co-anchor Gregg Jarrett introduced Chao as being "involved in the Romney campaign as the national chair of his Asian Americans & Pacific Islanders for Romney community. She also sits on the board of our parent company News Corporation." Role on Fox. Fox News Middle East and terrorism analyst. Phares has been critical of the Obama administration's handling of foreign policy issues during appearances on Fox News and Fox Business. Phares' ties to the Romney campaign have repeatedly not been disclosed. Snyder is the chairman of Virginia Victory 2012, the Republican Party of Virginia's 2012 coordinated committee in charge of defeating "President Obama, Tim Kaine, and congressional Democrats" in Virginia. During a recent event, Snyder identified himself as the "Virginia Victory chairman for the Romney/Ryan campaign." During his first appearance as a Fox News contributor on August 8, Snyder was introduced as a "Republican strategist and the newest Fox News contributor." Snyder's Fox analysis, as billed, fell on partisan lines. Snyder repeated the distortion that President Obama is "systematically dismantling the Bill Clinton legacy" on welfare. Snyder also repeated the charge -- made frequently by the Romney campaign and its surrogates -- that Obama is running the most negative campaign in modern history.